I recently tried to make a wire cutter that I can attach to a soldering gun. 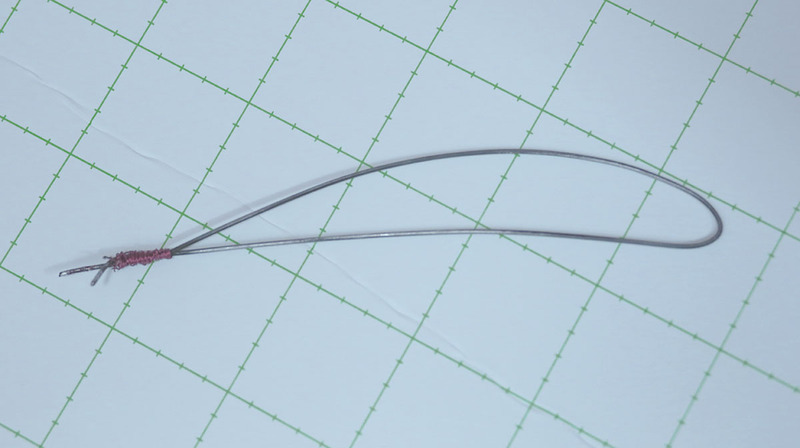 I tried bending an ordinary umbrella wire into something close to a NACA 6412 airfoil shape. Then I attached it to the hole in the soldering gun after removing the tip. When that didn't work I tried wrapping it around the reattached tip with copper wire to ensure good contact/heat transfer. Anyway, this is the airfoil-shaped wire that I came up with. The problem however is that it doesn't work at all. I mean it doesn't even get warm despite the fact that it's attached pretty securely to the soldering gun I'm using. 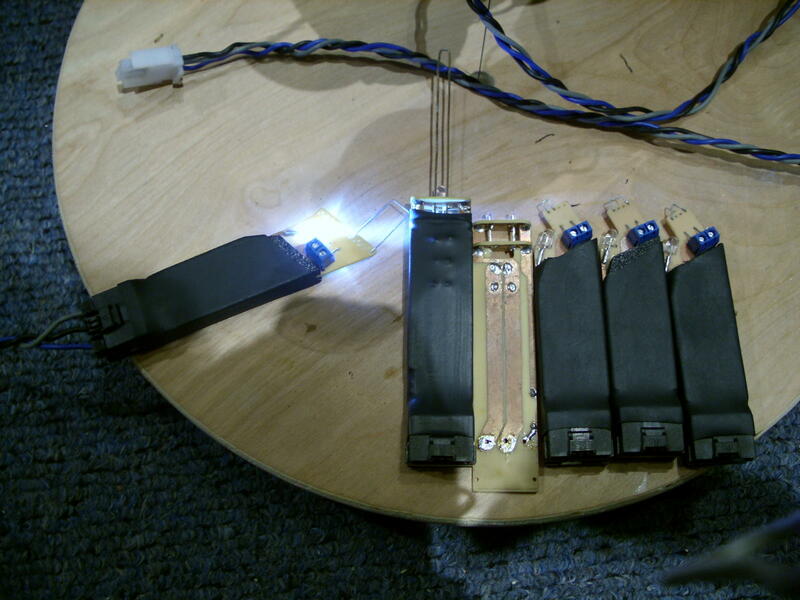 Is the soldering gun idea not feasible to begin with? I was also thinking of connecting it to an AC adaptor but I'm pretty sure I'll end up electrocuting myself...or maybe not...suggestions anyone, please? Thanks!! Do not connect the wire to an AC adaptor. That is dangerous! I would recommend looking at some of the youtube videos using NiChrome wire. I just got 10 feet of it on ebay for a few bucks. I've seen a few people use it with a transformer used for model trains. This way you can dial it up to just enough power for cutting but still remain safe. Hook up the NiChrome wire to a wood frame and do the length of the wing using two templates at each side. Go slow enough and I think you can probably make some nice wings. That's my plan, anyway. iCrash, thanks for the reply. I think I know what you're describing. Did you make a frame with the wire on one side, kind of like a square bow? I've done that successfully before, but what I'm trying to make now is a wire already shaped like an airfoil so i don't have to use templates and do one side at a time. Seems impossible to heat up using a battery because it forms a closed loop so it would definitely cause a short circuit. Perhaps if I use a higher wattage soldering gun, what do you think? I applaud your ingenuity but this won't work. Even if you can get the wire to the correct temperature, you'll end up with gouges and likely twisted and warped wing sections as you have no steady guide to keep it all straight and true. The bow method rides along templates at both ends and makes certain you are cutting an accurate shape. Take a look at the Flitetest video here where David goes over hot wire foam cutting. Yes I've seen the video and I've done it before but I'm just looking for a way to simplify this foam cutting method. You're right. I'm probably just complicating it more but maybe I'll give it one more shot and if I somehow succeed then I'll post the results here. Anyway, Thanks for your suggestions. The problem with yours is the amount of current you will have to run through it to heat it. A bit dangerous even for me. The wire on a bow works great and provides an almost instant airfoiled wing. I have a little experience with what you are trying to do, I wasn't just shooting you down. A long time ago I was helping out with building the Campus-life haunted house in Miami, FL. Anyway, one of the rooms we were dressing was from the movie "The Fly" and we wanted to make the actors doors into the room look like the finned "pods" from the lab. We got some coat hangars and bent them into almost a "w" shape to use to cut the fins inserting the free ends into each leg of a high wattage soldering gun, not an iron. We then used this to cut the fins, and it worked, but it was very bumpy and rough from even the tiniest shake in the hand or any kind of motion. Like I said it worked, but on a set piece that was at least 15' from the nearest guest, that had been painted and was only seen in low light. Up close it was horrible, especially if you consider you are trying to make a wing with the same process. You would spend way more time sanding and straightening than if you just bow-cut in a traditional manner. All of which make quick work of foam. I've yet to try to cut foam core as I bought it to do other things related to business, but it's been on my mind the last 2 days to give it a shot. So I may see how it does tomorrow. Anyway as stated above the thicker wire that you are attempting to use will carry more heat, like my foam cutting knife. What that means is that it's going to shrink (melt) the foam in an imprecise manner and won't tell yield good results. It will be good at removing large sections of material though. For the precise cuts the foam scroll table is amazing and having a power supply that allows you to regulate the temperature of the wire will keep the foam shrinkage to a minimum. Keep in mind it like the bow tool shown in the flite test video use very, very, very thin wire while the element on the hot knife is literally probably 50 times larger, at least. I'm making a crappy quality video right quick to show you what the tools look like and what they do. It might help you with the concept that your going after. I'll post it in a few minutes.. Be warned its just a quick non planed video. Very crappy video, but I hope it gives you an idea of what you maybe able to do or use to create your wing. I do a lot of hot wire building. I even go so far as to build my own power supplies from scratch. The tool you made needs to be heated from both ends of wire. any contact point along the way will cause the power to only run to that point and heat up the wire between the soldering gun tips. but as others have mentioned, it will be impossible to make clean even cuts. As the wire heats up it will go beyond what is needed to cut the foam, then dissipate the heat as the foam starts to cut. This slows the cutting speed down. The heat will also be uneven as you work through the foam. The far end will "drag" behind the ends at the handle. The foam itself will also have some inconsistancies in its density. This will also throw off the cutting speed of parts of the wire. Small clumps of melted foam can also start to form on the wire, dragging the wire more and cuaseing the cleaner areas of the wire to burn deeper into the foam as you must now force these clumps along. Without having a good guide to follow your wire around it will be nearly imposible to cut out a piece worth useing. Building a bow like the others have said is what you need. Make some good guides from stiff cardboard, thin metal or wood. I know of a lot of guys who use formica scraps they get from local cabinetry shops. I used stiff artboard cardboard and will sometimes line the edges with some kind of metal tape or supper glue. These are some of the hand carving tools I have made for my set up. Looks like an easy build. Don't know if it will help you guys.